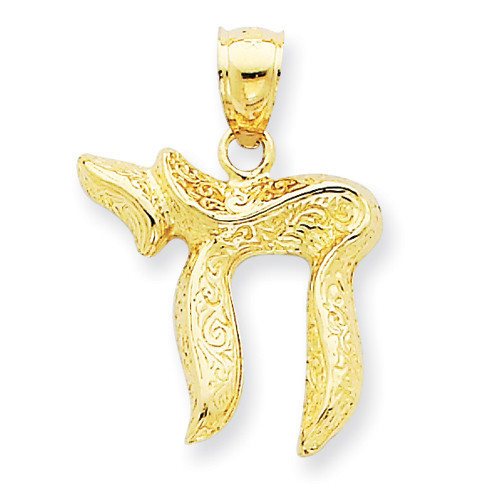 14kt yellow gold Chai Pendant has a textured finish. Item measures 5/8 inch wide by 11/16 inch tall without loop and bail. This item is smaller than a dime. Weight: 1.46 grams. Popular to a Jewish tradition, chai is a symbol of well-being and best wishes. The word chai means alive, life, or living.